White House Warns of EMP Attacks On U.S. The Trump administration is taking steps to protect the United States from electro-magnetic pulse events, or EMPs, a type of event that can occur naturally but that has also been weaponized by nations seeking to cripple the country's critical infrastructure. "An electromagnetic pulse (EMP) has the potential to disrupt, degrade, and damage technology and critical infrastructure systems," the White House writes in the new executive order. "Human-made or naturally occurring EMPs can affect large geographic areas, disrupting elements critical to the Nation's security and economic prosperity, and could adversely affect global commerce and stability." "It is the policy of the United States to prepare for the effects of EMPs through targeted approaches that coordinate whole-of-government activities and encourage private-sector engagement," the order states. "The Federal Government must provide warning of an impending EMP; protect against, respond to, and recover from the effects of an EMP through public and private engagement, planning, and investment; and prevent adversarial events through deterrence, defense, and nuclear nonproliferation efforts." The White House is seeking to have a comprehensive strategy on EMPs within the next year. "This Executive Order advances increased resilience to Electromagnetic Pulse (EMP) events by directing better data gathering, testing, and private-sector coordination to implement protective measures," the White House said in a statement accompanying the new order. "The Executive Order also instructs departments and agencies to coordinate and streamline these efforts, while fostering an environment, through strong Administration leadership, that promotes private-sector innovation to strengthen our critical infrastructure." "President Trump will always do what it takes to keep Americans safe. Today’s Executive Order—the first ever to establish a comprehensive policy to improve resilience to EMPs—is one more example of how the administration is keeping its promise to always be vigilant against present dangers and future threats," the White House said. EMP attacks have long been on the United States's radar, but the Trump administration is taking steps to make prevention against such attacks a priority. To this end, the administration issued a new executive order on Tuesday instructing a range of federal agencies to work more closely together to mitigate the risks of such a catastrophe. EMP attacks, whether natural or used as warfare against the United States, can take the nation's most critical infrastructure offline, including the electrical grid and other basic necessities. Senior U.S. officials who briefed reporters on the new order warned that the United States needs to do better to protect against these attacks and safeguard the country's infrastructure. "It's going to be important that we take that unified approach," said one senior administration official, emphasizing the need for the government to work together, as well as with private sector entities familiar with the EMP threat. "We need to reduce the uncertainty in this space" and "mitigate potential impact" of any EMP attack on America. The efforts will include not only the White House National Security Council, but also the State, Energy, Interior, and Homeland Security Departments. U.S. officials said that the threat of a weaponized EMP attack weighed into President Donald Trump's decision to elevate the issue and order a comprehensive strategy to deal with is. "This addresses the full range of EMP effect to that nation," human and otherwise, the official said. The policy is "really is driven towards the full spectrum and understanding the hazards posed towards critical infrastructure." The Trump administration's 2017 national security strategy was the first to identify EMP as a national threat. Since then, the White House has taken "concrete steps to address the threat," according to the administration officials, who would only speak on background to reporters. "This really is groundbreaking action that takes the longstanding recommendations of the scientific community to heart and is the first to pull them altogether in a comprehensive suite of actions" to mitigate the threat, according to one of the U.S. officials who briefed reporters. 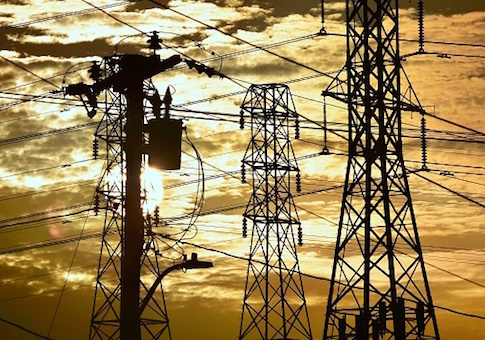 Federal agencies and their private sector partners will seek to "improve our understanding of EMP effects" and "strengthen critical infrastructure to withstand the effects of EMP," officials said. "We're taking a whole of government approach."